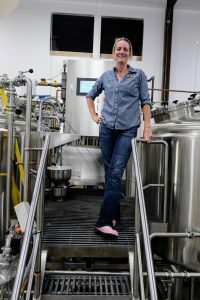 Judy is a Certified Cicerone and longtime homebrewer living the dream. 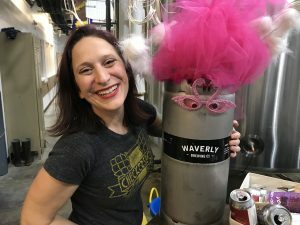 She helped found Baltimore Beer Babes, a craft beer appreciation group bringing more women into the fold and is a proud member of the Pink Boots Society. 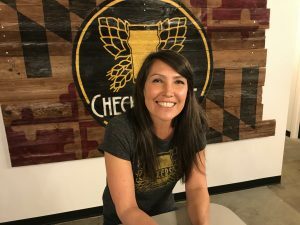 She has a PhD in microbiology from The Johns Hopkins School of Public Health, so she isn’t afraid of scientific side of brewing, but firmly believes that the creative side and understanding of the ingredients are just as important. As a child, Steve began brewing at home with his father which fueled his passion for craft beer. 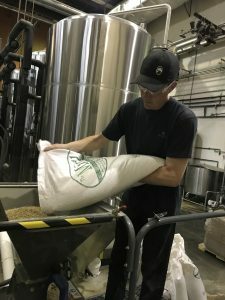 He started the cask program at Heavy Seas, now the largest cask program in the country, which has earned him the nickname “The Cask Whisperer”. 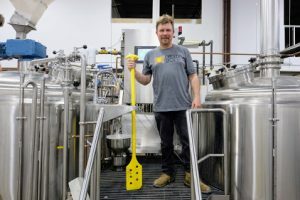 He has consulted for several area breweries and specializes in sourcing local ingredients and improving beer quality. Rob has been a longtime craft beer lover and may even love great beer a little more every day. As the founder of Neff Rehabs, renovating rowhomes in Baltimore, he brings his entrepreneurial spirit, construction skills and muscles to the brewery. Denis has had some crazy jobs, but between casinos, bars and breweries, the brewery years have been the most fun! He comes from Charm City and lives in Fed Hill. His spirit animal is a monkey – he was born the year of the monkey and it fits. 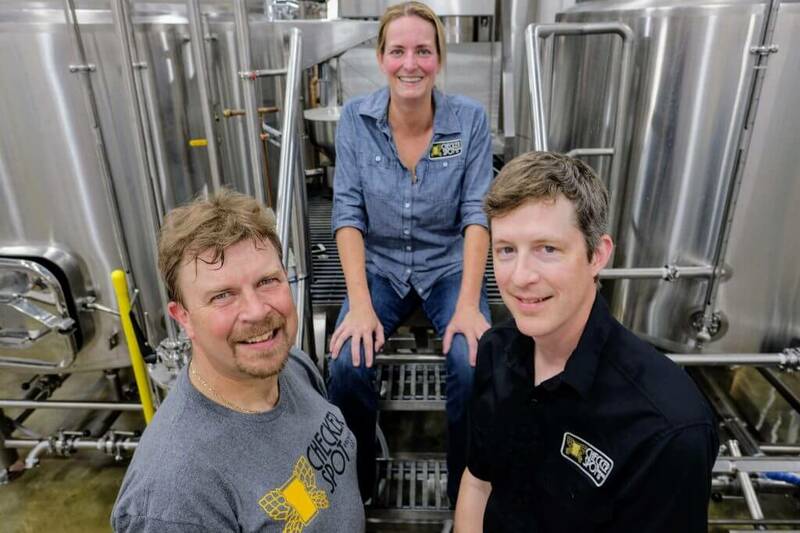 If he had a beer named after him, it would be SoBo cobra because it’s a secret Checkerspot operation that no one knows about…. You can find Denis here every other Saturday behind the bar, but if you have an event here, you’ll have the privilege of working with him. I know you’ve seen the beer artwork and our super sweet logo – that’s all Adam. He comes from the 21014 (Bel Air). He has a lot of experience consuming craft beer. His spirit animal is a shark, so watch out! There’s not much that no one knows about Adam, but… he actually thinks of himself as being quite shy at his nougat-y center. Figure that one out. When not designing and illustrating amazing artwork here, he works at Mojo Art designing t-shirts and also has designed artwork for many bands and music festivals. Check out his band, The Racket – they play all around town! You can often find Adam here every Monday for Pickin’ Mondays. Megan grew up in Harford County, near cow pastures and corn fields, but moved to SoBo about 7 years ago and has loved the city ever since. Her spirit animal is a Corgi. For the most part, she’s pretty upbeat and smiley… and being 5’2″, she has short legs and tends to walk fairly fast to keep up with everyone else. Something you might not know about her is that she can’t roll her “r’s”. Ian grew up in the UAE and spent almost 30 years there. It’s a very diverse country, lots of different cultures live in close proximity to each other and he got to experience a lot of it through the variety of cuisines available there. It was also the place that hooked him on craft beer after sampling his way through the entire beer list at the Belgian Beer Cafe in Dubai. His spirit animal is a dolphin because of their cooperative and communicative nature. He’s a dog whisperer by the way.  If Ian was a Checkerspot beer, he would be First Whisper (ESB), a very balanced beer where malt, hops and yeast all work in unison without anyone overpowering the other. Ian does a little bit of everything, but you can find him behind the bar every Saturday night! Ryan is Glenwood, MD, born and raised and lives in Fed Hill. 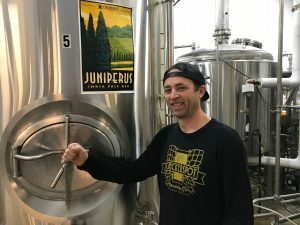 He has more than a decade of bar experience, focusing the past few years on craft beer. He does a little bit of everything here and you can find him behind the bar on Mondays. His spirit animal is a jackal. If he was a Checkerspot beer, he’d be Locally Delicious. Sour on the surface but complex, all-local and generally awesome. Kelli comes from the beautiful city of Annapolis. She has 25+ years serving, bartending and managing bars and restaurants and live music venues. She also was in beer sales for a couple of years for Frederick Brewing Co. way back when. Her spirit animal is a horse. If she was a Checkerspot Beer, she’d definitely be Psycho Haze! It showed me I could love an IPA…juicy and delicious with no palate destroying bitterness. She’s a realtor on the side, so if you’re looking to buy or sell a house, come have a beer on Thursday! The Real Neale-o was born and raised in Towson, MD. 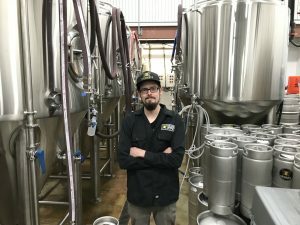 He grew up in the craft beer industry at Racers (THE craft beer spot to be in MD even back in the 90’s). Neale would be Daydream Cream. Pretty light and carefree, and always thinking about something else. Amethyst hails from Frederick, but we were lucky enough to have her move to Baltimore last year. Her first job in beer was at the age of 3, she would run to the garage to get her dad his PBR. Been a beer girl ever since. She’s the official MC and Beard Judge for the mid-Atlantic BBQ competition in Atlantic City. Her spirit animal is a butterfly, glittering happily and absent mindedly from place to place all while serving a greater purpose – a Checkerspot butterfly maybe? 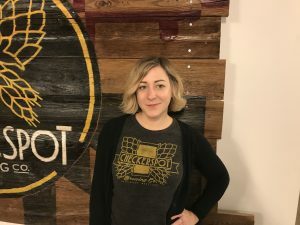 Amethyst runs a lot of events at Checkerspot – especially the crafting and beer events plus you can find her slinging beers Friday evening and Sunday afternoon. Adair came to Baltimore via upstate NY. 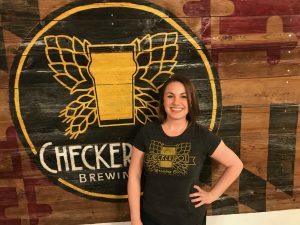 Her favorite Checkerspot beer is Strongman because it reminds her of her life goal to have someone carry her everywhere. Her spirit animal is Groot and if she had a beer named after her, it would be called Au Revoir Brain. You guess what style! You can find Adair serving up delicious beers every Saturday and Sunday afternoon and dancing it up! Angie comes from Carroll county, Maryland, with stints in Memphis and Portland and now back to Baltimore as her forever home. 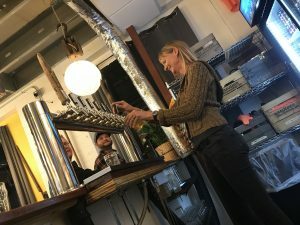 6 years ago she got involved in the craft beer industry in Portland Oregon working at an amazing place called BEER – a beer bar and bottle shop carrying an unimaginable number of craft beers. 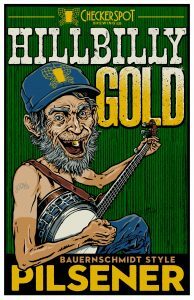 If she had a beer named after her, it would be Down Home – it’s something her grandma used to call good hearted people & it’s tattooed on her knuckles to remind her of where she comes from. When she’d not here in beer heaven, she’s living her other passion, vintage & antiques. She co-owns a retail shop in Hampden with her best friend buying and selling collectible vintage clothing, accessories and home decor – Milk & Ice Vintage. Mike is the other half of the Kulnich Dynamic Duo. He hails from Ellicott City and has a TON of experience in the beer industry. 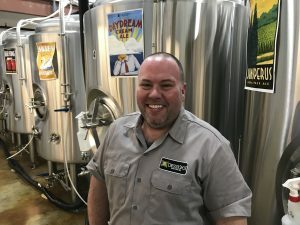 He started as a barback at The Royal and eventually ran sales for Legends and then at breweries, including Heavy Seas and Flying Dog. His spirit animal is a lazy housecat…he loves naps. If he had a beer named after himself, it would be Big Train Ukranian Lager – a lighter lager with a hint of smoke. When not here every other Saturday night, he works in residential real estate with his wonderful wife. 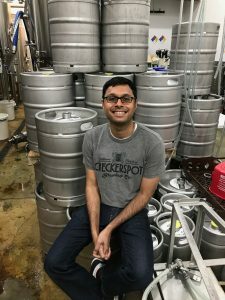 How did we end up starting a brewery? Judy and Rob first met through mutual friends at a party over some beers. While they both drank Natty Boh at first, as their relationship grew, so did their taste for more flavorful beers. After they visited Anchor Brewing Company in San Francisco, Judy became inspired to start brewing at home. Brewing in the kitchen then moved to the basement and both of them started drinking new and different beers. Steve bonded with his father as a boy helping him homebrew in the backyard using a kit brought back from a London pharmacy. 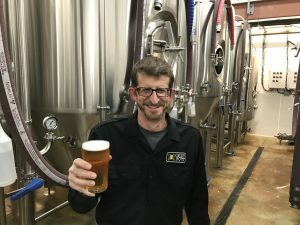 This love of brewing continued as he grew up and eventually led him to Heavy Seas where he started the cask program, now the largest in the USA. As Judy and Rob started exploring the new world of beer, they soon met Steve at a cask beer event. He introduced them to cask beer and the rest is history. Beer is a unifier that brings people together. Do you remember how you met that person you’re with? What beer were you drinking? Cheers and here’s to many more!